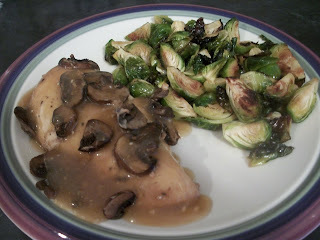 Not too long ago, I made chicken marsala for the first time, and loved it! It's not difficult to make, and it's not too time consuming, but I was sure there would be a way to adapt this to the crockpot. So I did! 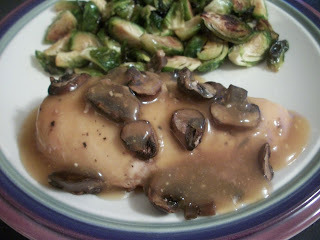 A few minutes spent in the morning or afternoon will get you a freaky fast delicious dinner. Start by brushing the bottom of your crock pot insert with the olive oil. 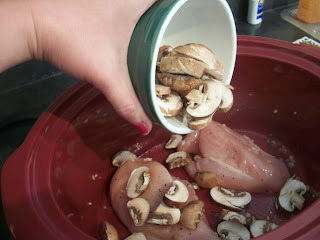 Place the minced garlic on the bottom of the crock, then add the chicken breasts. 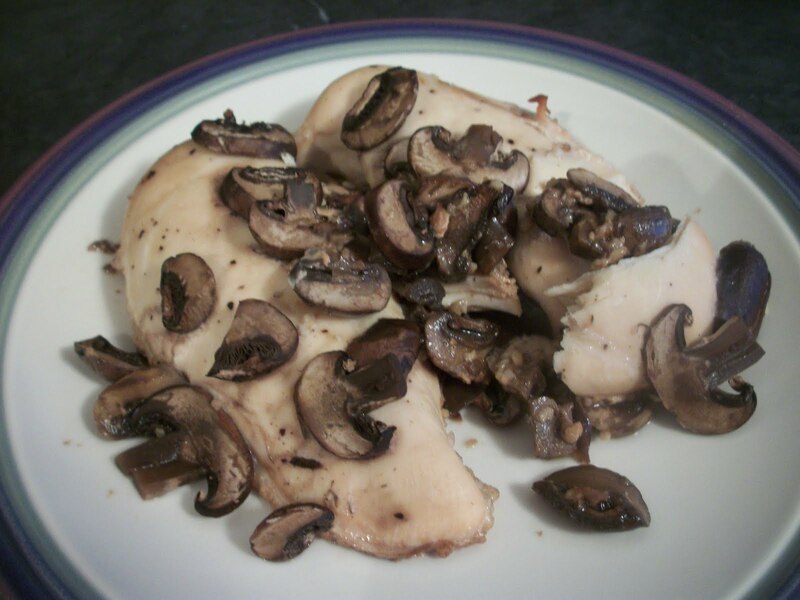 Season the chicken with salt and pepper, then add the mushrooms. and transfer the juices and wine to a small saucepan. 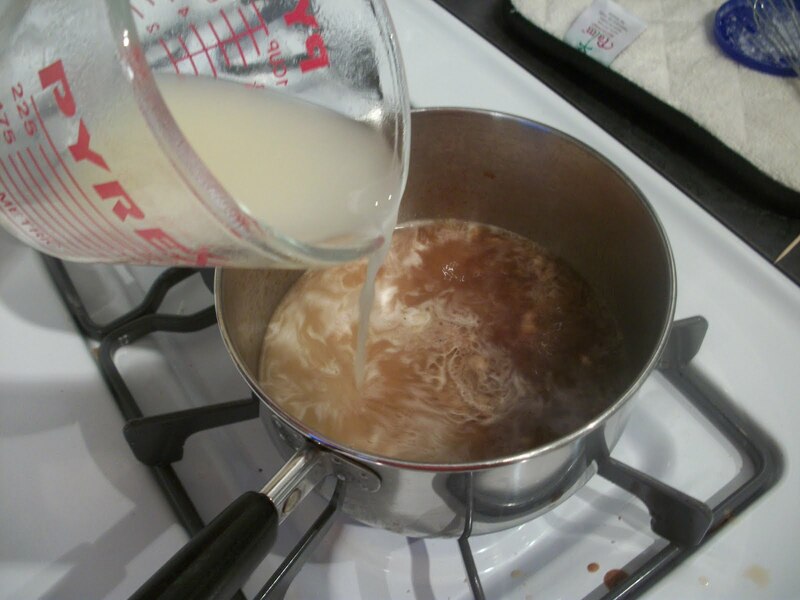 In a small measuring cup, dissolve the cornstarch in the chicken broth, whisking well until no lumps remain. Heat the liquids in the sauce pan over medium heat til it begins to simmer, then slowly add the chicken broth. Continue to whisk the sauce until it thickens, 2-3 minutes. Place the chicken on a serving platter or on individual plates and cover with the sauce. In order to soak up the delicious sauce, you could make rice pilaf or mashed potatoes as accompaniments! Find more great ideas at Tasty Tuesday, Tuesday at the Table, Tasty Tuesday (#2), Tempt my Tummy Tuesday, Totally Tasty Tuesdays, Tasteful Tuesday, Tuesday Talent Show. Pour the olive oil into the bottom of the crockpot insert and brush to distribute the oil. Place the garlic in the crock, then top with chicken. Season the chicken with salt and pepper, then add the mushrooms. 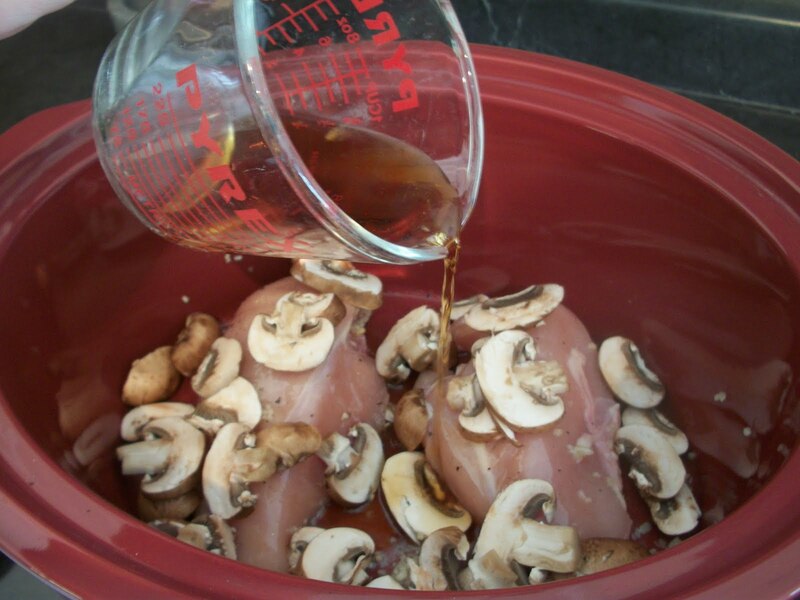 Pour the wine in to cover the chicken. Cook on low for 4-6 hours. When chicken is cooked through, remove the meat and mushrooms to a plate. Pour the wine mixture from the crock into a small saucepan and bring to a simmmer over medium heat. Whisk together the cornstarch and chicken broth and add it to the simmering wine, whisking constantly, until the sauce thickens, 2-3 minutes. Pour sauce over chicken and mushrooms to serve. Serves 2.